Use with our Katadyn filters to ensure great-tasting, freshly-filtered water.contamination. 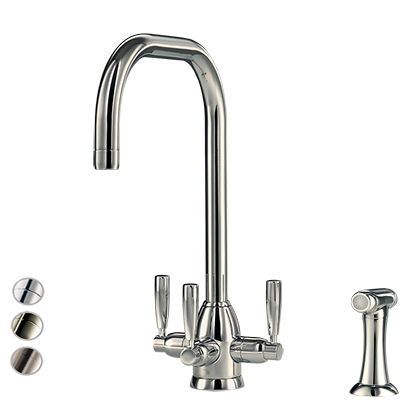 -- Dedicated waterway within a single spout for filtered water delivery, which avoids cross-contamination. -- High performance Swiss-made ceramic filter cartridge affords the benefit of filtered water, removing impurities down to 0.2 microns. -- Five year warranty on brassware.